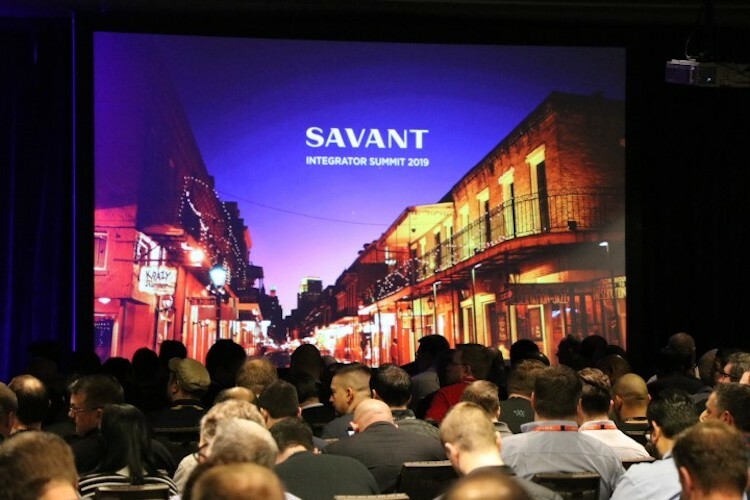 During Savant’s annual Integrator Summit, held this week in New Orleans, LA., Savant CEO and founder Robert Madonna shared the company’s product roadmap for 2019, including solutions that highlight Savant’s commitment to custom integration specialists. These announcements expanded on Savant’s current product lines for video, audio, climate, lighting, shading, energy, control, and others. Savant CEO Bob Madonna speaking to the 2019 Integrator Summit crowd. First, Savant introduced new Artison high-performance architectural loudspeaker products engineered for the custom channel. The company also unveiled significant expansion of its IP Video and IP Audio product lines. Also, Savant presented new product offerings in the lighting and energy categories space, providing meaningful opportunities that Savant says are not available from any other control systems supplier. Additionally, attendees of the conference were given an update on Micro Grid technology for luxury homes (from sister company Racepoint Energy) that will provides energy efficiency, automation, and independence. This year’s Integrator Summit is the largest in the company’s history.